Each chapter includes a full range of useful pedagogical features, including chapter summaries, practical activities, case studies, dialogues with active researchers and guidance on further reading and resources. 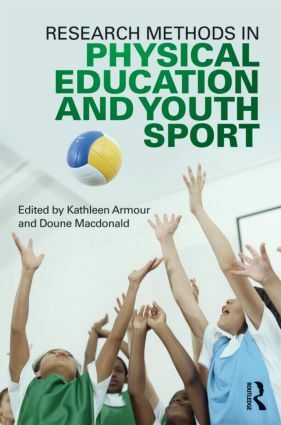 With contributions from some of the world’s best-known researchers in the field, this book is indispensible reading for all students and professionals working in physical education, youth sport, sports coaching and related subjects. Kathleen Armour is Professor of Education and Sport, and Head of the Department of Sport Pedagogy at the University of Birmingham, UK. Her research interests are in teacher/coach career-long professional development, physical activity and health pedagogies and the role of sport in the lives of disaffected/disengaged youth. Doune Macdonald is Professor and Head of School of the School of Human Movement Studies, University of Queensland, Australia. Her research interests have addressed the challenges of curriculum reform and its impact, and more recently broader questions of physical activity, health and young people.